After St. Helens officials lamented a recent hike in street lighting electric rates that sent a major blow to an efficiency upgrade project, Columbia River People's Utility District agreed to cut the city some slack. Columbia River PUD directors voted unanimously Tuesday, Aug. 21 to temporarily amend the street lighting rate for the city of St. Helens, while offering the city a rebate of nearly $50,000. In July, St. Helens Finance Director Matt Brown told PUD directors and staff that a rate increase for street lights resulted in a 72 percent jump in the city's electric bills. City officials described sticker shock at receiving the new bills and said the PUD didn't notify the city that its rates would change before the city embarked on a nearly $900,000 LED street light project. John Nguyen, general manager of the PUD, said the utility district raised its street light rates after years of collecting rates that were too low to cover the PUD's costs. Nguyen said the rate increase was one of several reviewed by the PUD's rate advisory committee and said proper notice was posted before the rates were voted on by the board. Still, city representatives said they expected more communication from the utility provider. "I would have hoped to receive a notification from your staff about that, but we didn't know anything until I received an email from Tim [Lammers, energy services and key accounts supervisor]," Brown told PUD staff. Brown and St. Helens Mayor Rick Scholl asked the PUD to consider paying off $480,000 in debt service the city will incur on the project. That didn't happen, but directors agreed to defer the city's rate increase for a year, until June 2019, while offering a $47,545 incentive payment to the city. The payment is in addition to a nearly $80,000 check the city already received from the PUD when it started the LED street light project. 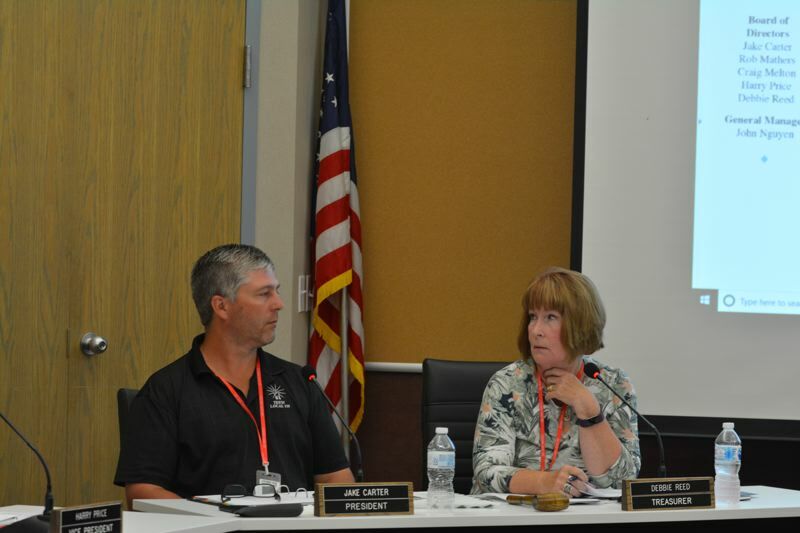 St. Helens officials were absent for the follow-up discussion Tuesday, when directors took action. PUD's largest street light customer." "We want to maintain a close working relationship with the city, so we want to do anything we can to help," Nguyen added. Addressing allegations that the PUD didn't notify the city of St. Helens properly, Director Debbie Reed said she took issue with that notion. "It's been a concern with me all month, that indication that we did something wrong ... and we didn't," Reed said. can do to improve our processes." PUD staff noted that they sent a letter to St. Helens offering the $47,545 "self-funded" incentive, but received no response.